Are California’s Bike-Car Accident Laws Too Lax? GJEL » California Bicycle Accident Lawyers » Are California’s Bike-Car Accident Laws Too Lax? Collisions between bicycles and vehicles are as close to a David and Goliath encounter as you’ll see on modern-day roads. 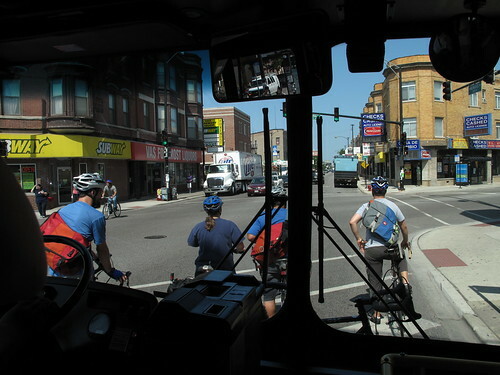 Bicycles take up much less space, have a fraction of the carbon footprint as cars, but must constantly be aware of vehicular behemoths, even while obeying all of the rules of the road. But when vehicles are involved in bicycle accidents, the law often favors the driver, according to a new report by Bicycle Times Magazine. Currently, only nine states carry criminal penalties for bike-car accidents: Alabama, Arizona, Georgia, Hawaii, Idaho, Nebraska, Nevada, North Carolina, and Utah. Noticeably absent is California, which had 131 bike fatalities in 2008 alone. Meanwhile, most car-to-car deaths would have the option of being tried in criminal court. Of course, the major problem facing cyclists who hope to reform accident laws is that 63 percent of the population drives and considers it the responsibility of cyclists to get out of their way. States are growing more serious about penalties for bike-car accidents, but progress is slow. So if you’re a regular biker, be careful out there and remember to give cars the right of way whenever in doubt until David and Goliath become more equal in California courts.